Voted as one of the world's top 5 beach houses by UK Independent, Alinghi is a visually stunning four-bedroom holiday house with additional bedroom pavilion surrounding a central stone terrace overhanging the ocean. Alinghi Beach House is part of the prestigious Rocky Point Estate, just 6km south of Agnes Water accessible via secure entry. Agnes Water and the Town of 1770 is approximately 90 minutes from Bundaberg in the south and Gladstone in the north. Alinghi overlooks the Pacific Ocean and set on 14 acres of natural bush land with direct access to a private beach at Honeymoon Bay shared with just 5 other houses in the estate or explore nearby Sunrise Beach. The architect designed holiday house incorporates the main house plus a bedroom pavilion surrounding a central stone terrace 'platform' overhanging the ocean. 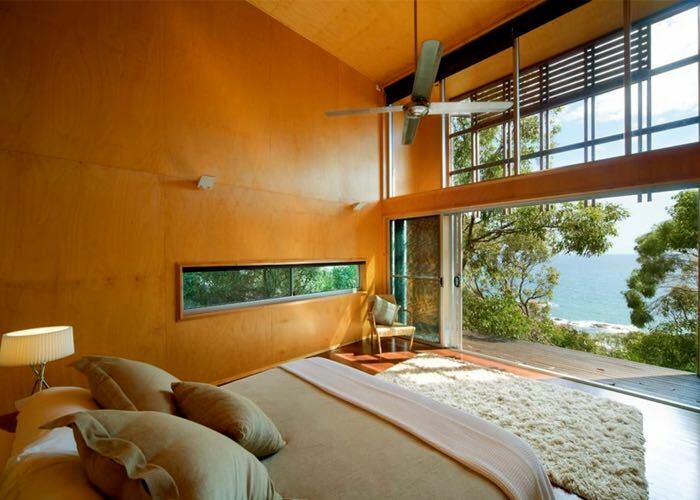 The doors in the bedrooms all open up completely to take in the breathtaking views and sleep to the sound of the ocean. The house has been designed with eco principles in mind, blending into the natural surrounds and sympathetic to the local flora and fauna. The four-bedroom main house is available for holiday rental and the additional bedroom pavilion on special request. The well-equipped house includes a state of the art kitchen with Miele and Gaggenau appliances and laundry facilities. Bose audio system throughout and 50" plasma TV, Foxtel and broadband internet to keep everyone entertained. Guests will find a complimentary hamper of local organic produce, fresh coffee beans, plus chilled beer and wine in the fridge for their arrival. All guests will be met personally and provided a quick tour on arrival and then left alone for the remainder of their stay to enjoy the house in peace and privacy. Stunning features of this luxury beach house include 30m saltwater swimming pool, entertaining cabana with BBQ facilities and tennis court. 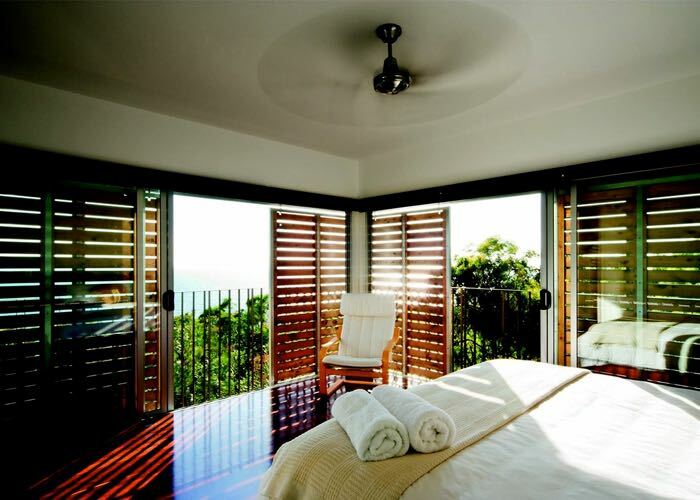 Enjoy sunset cocktails on your own private terrace overlooking the ocean at Alinghi luxury beach house, ideal for group getaways in the South Great Barrier Reef region of Agnes Water/1770. Fly to Bundaberg or Gladstone from Brisbane or Sydney and then drive approximately 90 minutes to Agnes Water/1770. CANCELLATION TERMS: 0 to 35 days before arrival - No refund. 36 or more days before arrival - Refund less 30%. We highly recommend travel insurance to cover for any unforeseen circumstances. NOTE: This property is not suitable for wheelchair access or restricted mobility. Infants and children are welcome however children under 8 years of age must be supervised at all times due to the location by the ocean decorative pools & local wildlife. Further details will be provided upon checkin. Bond amount is AUD$1000 paid directly to the property owner. This home features 2x King sized bedrooms with ensuite bathrooms and showers. There is an additional king size bedroom and a bunk bedroom which sleeps 4 guests, both of which share a family size bathroom. Does not include The Master Bedroom Pavilion. There is an additional king size bedroom and a bunk bedroom which sleeps 4 guests, both of which share a family size bathroom. The Master Bedroom Pavilion features a King sized bedroom with its own dressing room and ensuite bathroom as well as a fully equipped study.